With the new year approaching many of us are working towards the life we want in 2018 and going forward. When you’re on the path to greatness it’s imperative that we shape our mind by reading books that will keep us on said path. This is vital to changing our mindsets because what we read, watch on TV or the conversations we have shape who we are rather we know it or not. Therefore, setting aside sometime to read and explore different concepts and methods is vital to our success. Here are 10 books that are absolutely game changers for anyone who want’s to change their mindset in 2018 and going forward. 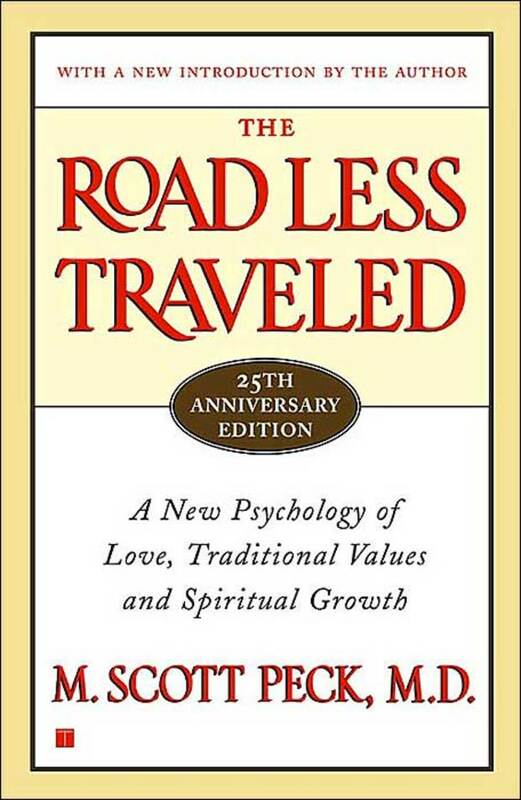 The Road Less Traveled was first published in 1978 but didn’t become a bestseller until 1983. This book is a cross of psychology and spirituality, this non-fiction book is packed with insight and wisdom about the attributes that make for a fulfilled person. 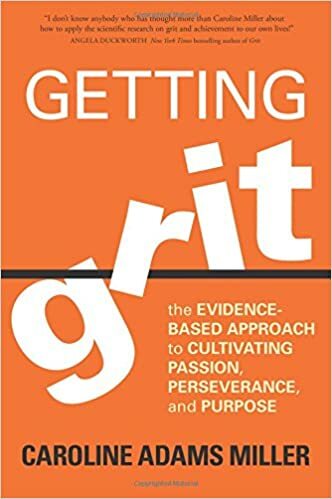 This is one of the best books for anyone wants to develop authentic grit to go after their passion. 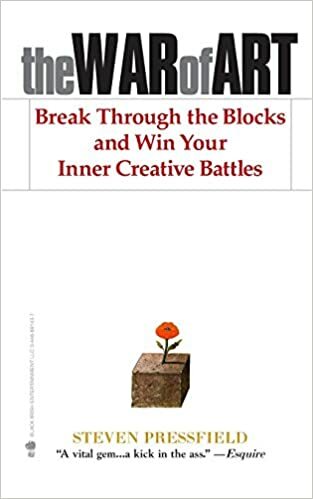 Psychology author and coach Caroline Miller created this guidebook full of self-assessment tools, daily exercises and life tips to empower us towards our dreams. Even though this book is only 165 pages it still provides value for anyone trying to navigate life and learn how to win. Depending on what stage/age you’re in life this book can definitely mean various things to different people. But regardless of age this book is a great motivational tool and present especially for the holidays. If you’ve never discovered your purpose or talent this is a great book to help you realize it. In this book it gives us a broader look at how we can discover our unknown talent or skill. 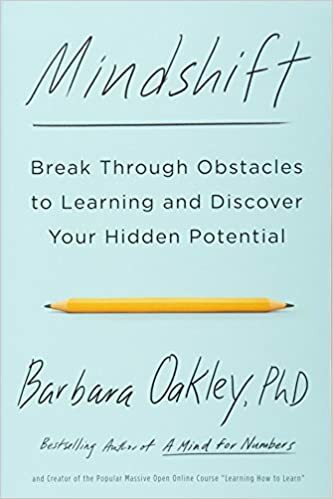 Barbara Oakley draws on neuroscientific knowledge to turn perceived weaknesses into strengths and overcome preconceptions with a positive mindset. 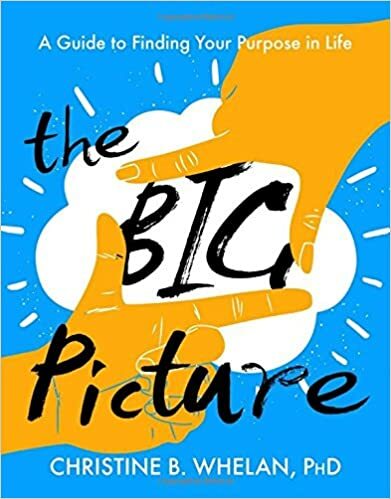 Although this book is aimed college graduates, The Big Picture will resonate with anyone who wants to discover their purpose for a fulfilling life. Christine B. Whelan utilizes quizzes and and thought-provoking questions such as “What are my talents? How can I use them to help others and create meaning?” This is truly a book I recommend for anyone who feels like they’re lost in life and can’t quite figure out one’s purpose for living. This best selling book is not your average motivational book. 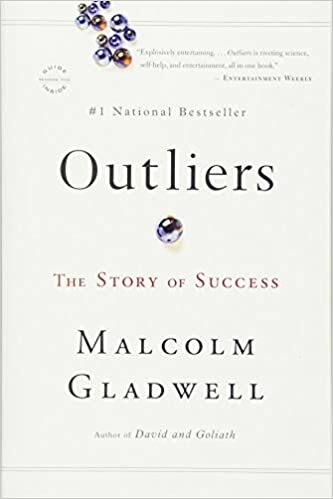 Malcolm Gladwell argues that success is tightly married to opportunity and time on task. This was born is ideology that has caused much debated since the release of this book in 2008. Gladwell states he believes it takes approx. 10,000 hours of practice to achieve mastery in a specific skill, industry. 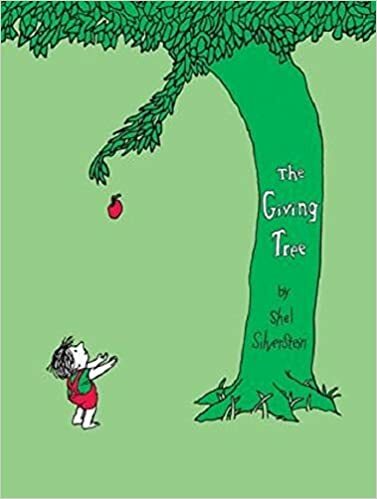 The Giving Tree is a story of a tree who loved a little boy. The tree loves the boy and does anything she can for him as he grows older – without regard for what she’s getting in return. Although this book was published in 1964 it still has a deep meaning that we can all take to our lives. Shel Silverstein in my opinion utilized symbolism to make a deeper point in this book. 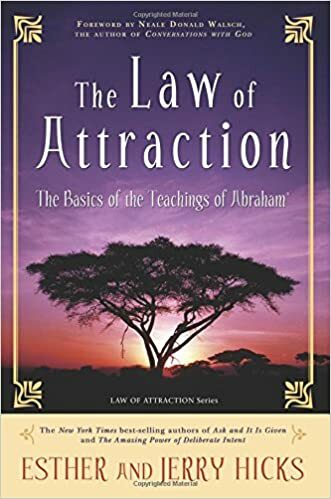 This one of the best self-helps books anyone can read if they’re interested in not only expanding their minds, but to instill positive affirmations. This is one of the best workbooks around for anyone working on personal development. Stephen R. Covey utilizes cognitive therapy a mode of therapy whose sole aim is to get a person to improve his or her thoughts and mindset. Any person can do that with a little reorientation regarding what’s important to them, especially as these personal values turn into a real action plan. Last but certainly not least is my favorite book out of the 10 I’ve shared. 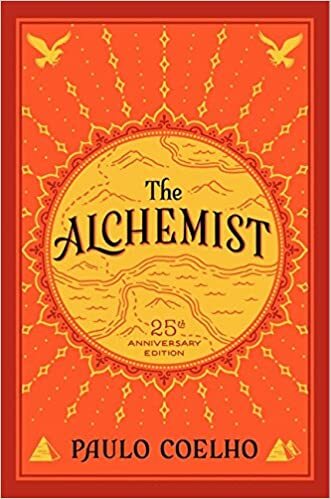 The Alchemist is a narrative about a young shepherd named Santiago and his quest to find gold. However, during Santiago finds the ultimate treasure is actually found deep within. Two of my favorite quotes from this book. What books are you reading or planing to read to help with your own personal development? Comment below & if you liked this article please share! For many years, the topic of dreams versus goals is a common debate all around the world. This debate is had even more during the latter part of the year when many of us start to self-reflect on the year. When we’re planing our goals and dreams for the new year it is important that we know the difference between a dream and goal. First let’s define what a dream actually is according to dictionary.com a dream is defined as “a succession of images, thoughts, or emotions passing through the mind during sleep.” A goal is defined as “a projected state of affairs that a person or a system plans or intends to achieve – a personal or organizational desired end-point in some sort of assumed development. What Separates Goals From Dreams? For many of us when we set a goal we have a timeline when we would like to have achieved said goal. According to the definitions of a dream it only exists in your mind while a goal starts in your mind, but is planned and has a defined deadline. One of the most popular ways to set a goal is to follow the S.M.A.R.T system. Specific = Define exactly what your goal is? Ex. A house, a car, weight lost, obtain a new job, etc. Measurable = How will you be able to measure if you reach your goal? Attainable = Is this an attainable goal for the period of time you set? Do you have the resources it takes to achieve your goal? Realistic = Is your goal something you can realistically achieve? Timed = When will you reach your goal? Determine a deadline or completion date. Many of us desire something in life whether we consider that a dream or goal. In many cases this is tied to our own individual upbringings. Whether we were raised in a household where we were taught to set goals and those goals were directed by our families ideology of what they believed was achievable. Such as going to a 4-year college and attaining a degree. While other families may have a different approach while letting their kids know they can achieve anything even their wildest “dreams.” This difference in upbringing can heavily influence anyone’s perception of what exactly a goal and dream are. What are your thoughts? What impact does your upbringing have on your perception of success? We’ve all have heard the statements “Life without passion is a lifeless life”, “Follow your passion”, “Find your passion”, “Pursue your passion”. All these statements have been drilled in a lot of us since childhood. Yet in many cases “passion” is often a concept that is difficult to explain, hard to find and impossible to measure. Some may argue that having a passion is overrated and not necessary. For over the past year or so I have been reading books, articles and different publications to get a better understanding of passion. I have wondered why some people feel as if passion is overrated and a waste of time. For example, a colleague of mine stated “Why do people think they need to feel passionate about the work they do”? This has prompted me to examine and evaluate passion and its meaning in our lives. There are many of opinions and definitions of passion but according to dictionary.com states it “ any powerful or compelling emotion or feeling, as love or hate”. Simply put passion is a feeling that we have and some would say it is necessary for finding success in life. Passion usually comes when we are being truly ourselves and doing what comes to us. In my experience finding “passion” for my life was somewhat overwhelming at times. For me finding my passion was kind of remarkable, because I stumbled upon it. On the hand many times when we open our mind to different possibilities we will never know will end of loving if we never try. The advocates against the power of passion would suggest that having passion isn’t such a big deal. They have the belief that there is more to success than just having passion and a love for something rather it’s a job, life, hobby or business venture. Without having more than just passion we will more than likely fail. As a student many of us were asked to write and talk about our passion or what we wanted to do in life. This is still evident even as adults, because even on some job interviews they might ask us about our passion. This shows how overused the word can be and it can make it more redundant than meaningful. Often times supporters of this concept lament that it is much more important to have belief in oneself and commitment. Now don’t get me wrong I am huge believer in having a passion, but I do understand that we need more than just passion to attain our predestined greatness. In the end when we understand and accept that no matter if we have a passion or not to be successful we must be true to ourselves. Without doing so we can become what I like to call “lost in the sauce”. What do you think is passion overrated? Comment below & if you liked this post please share! “When what you do is in alignment with who you are, you get energy from doing”. We all know how important it is to have social media to build our brand no matter if it’s our personal or business brand. Having a brand and keeping it strong is imperative to success on the internet. However building a following can be difficult when we first get started. So today I wanted to share a opportunity to anyone who has Twitter, Instagram or Facebook page. I will follow or like anyone who comments their social media pages. All you have to do is follow mine back in return easy right! Anyone can participate in this event all you have to do is comment your social media pages in the comment section & don’t forget to follow all my pages. Also If you could share and re-blog this post so we can reach as many bloggers as possible! Do you have dreams and ambitions but never seem to take action? Do you have work to do and deadlines but just can’t seem to get motivated until the very last minute? If you answered yes to any of those questions then you probably have procrastinated.Now we all do procrastinated to a certain extent, no one is perfect, especially if the task is unpleasant or boring.However procrastination can be a common problem for a lot of people it can and will hold you back in life in a serious way. It will stop you from achieving success and may hinder you from pursing your dreams and goals. Even on a more simple level it will hold you back if you procrastinate on even the simplest task. You will start late, put out less quality work and not get the recognition and success you deserve for your effort and time. Simply put you don’t need to be super intelligent, have a large sum money, or to know the right people to get started with your dream, but the one thing that will hold you back more than anything is the tendency to procrastinate. So the next time you think about procrastinating just imagine the very thing you’re postponing will never happen. You’ll NEVER get to experience it , because you’ll never have the perfect inspiration, perfect conditions, perfect skill it will NEVER be the “right time”. Then ask yourself how does that make you feel relieved or petrified? Just remember you can accomplish anything you want to if you stop procrastinating and believe in yourself and your dreams.Tomorrow has the potential to be better than today. But this day is the only day you have. And it’s the best day of your life. Comment below & if you liked this post please share! Hello everyone I wanted to take the time to formally THANK EVERYONE who reads comments and supports my blog. I appreciate every single one of you for all the beautiful comments and kind words I receive on a daily basics. Today I wanted to share some amazing news with all my WordPress Family! I’ve recently launched my official offered services! From all the emails you guys send me on a weekly basics asking questions from “how do I grow my blog”, “how to start a profitable business” etc. I am now offering blogging/marketing services, social media services, life and relationship coaching. *Below I have provided what services I provide. If you do not need any of these services please share, re-blog and tell anyone you know so this post can reach as many bloggers as possible! $5 guest post on jaycolby.com to have your article read by over 7,000 + followers and a weekly 3,000 visitors. $15 one hour session for marketing tips, how to start a blog, how to build a audience and anything concerning blogging. $20 one time fee for a complete marketing plan along with tangible strategies that can be easily implemented. Growing your social media platforms will ensure more people will land on your website and hopefully convert your social media following to your blog or business. The larger the following, the more social media can be used to find prospects, drive leads, sell products, and shape a brand image. Here are five social media services I can offer to grow your following. *For all prices click here and send a brief summary of what your social media needs are and I will get back to you within 1 – 2 Business days. For your content marketing campaign, I will research, interview, write, edit, publish, and promote 8 blog posts per month, as well as manage your blog (update plugins, maintain security, manage comments), if necessary. *The cost is $1000 per month (prefer a 6 or 12 month contract). One session a month for six months: $120. One session every other week for six months: $240. One session every week for six months: $480. For all inquires, questions or to setup a session click here and fill out the contact information. Check out my Ask Jay series where I answered questions from relationships, blogging, business and more! During the pursuit of greatness negative or fearful thoughts always seem to come across our mind at one point or another. Whether it’s those seemingly omnipresent thoughts that remind us of all the failures we’ve had in the past. Majority of us go through times where even the most confident of us has encountered some sort of self-doubt. Overcoming this doubt can be more challenging to some depending on the level of doubt we have. In many cases what keeps many of us from reaching success is the reluctance to change and unwillingness to sacrifice. No matter the goal we have set for ourselves nine times out of ten we’re going to have to sacrifice something to accomplish it. Whether it’s time, money, sleep, hanging out with friends or lessening the time we spend on social media. One of the easiest ways to overcome fear and self-doubt is to just do it. Sounds simple and easier said than done right? However, a method I’ve used over the years that has always works for me is the 5 Second Rule. This rule can be utilized in any situation where fear or self-doubt plays a role. To apply the rule all you have to do is when fear or self-doubt starts to creep in stop everything you’re doing count to 5 and clear your mind. After you count to five say five reasons why you can achieve your goal, five accomplishments you’ve made in the past and five positive qualities you like about yourself. This not only helps with your fear, but trains your mind to rid itself of those negative and limiting beliefs. On our path to greatness we will most likely encounter some sort of negative thoughts, self-doubt or negative people. However, we have to keep our positive mindset, because in the end if we choose to give up on our dreams we will only regret it later. I remember speaking with mentor of mind a few months ago and he asked me one simple question “If you could fast forward your life and you were 82 years old would you be satisfied with your current life or would you have regrets? What are your thoughts? If you were 82 years old right now and the only things in life you accomplished is everything you’ve done up to this very moment. Would you be satisfied with your life or would you have any regrets? Everyone faces some type of “crossroad” in their life. Facing a crossroad can be very overwhelming and can cause anxiety. One of the most complicated tasks any of us will face in life is the concept of making the right decision. Every few seconds we have the opportunity to change our lives, our family lives, our careers and our well-being. By having this seemingly great opportunity to affect our lives in many different aspects can seem very promising. On the other hand it can be an enormous weight on our shoulders, because our lives and our families can be forever changed based on the decisions we make when we face a crossroad. The small decisions are simple. You may not even notice you are making them, for example if you’re hungry you might stop at a local fast-food restaurant to grab a bite to eat. This act is probably a regular occurrence for many of us and does not require much thought. Our brain has an efficient way of going into auto-pilot on tasks we deem to be insufficient. On the contrary “crossroads” are the decisions that you can’t go into auto-pilot with that may require deep thought and detailed analysis. When you don’t know how the outcome will affect you and making such a large decision based on your gut or intuition may be the only option. These decisions are usually where the only help others can give you is common sense like “Do whatever makes you happy”. Attempting to control, manipulate or force things to happen is a typical response to the fear that comes with change. Some of us are so fearful of change that we refuse to make a change without understanding that even if we choose not to make a decision or take action, this in and of itself is a choice. Have you ever found yourself in a position where all you have worked toward is right in front of you, but instead of a simple black and white decision you were presented with a handful of options? Comment below how you made your decision and what was the outcome.